Pack Pro Technologies provide a range of Check Weighers including the METTLER TOLEDO XC Compact range, the X-Series and the C3000 range which includes the popular Checkweigher and Metal Detector Combination the CM3770. 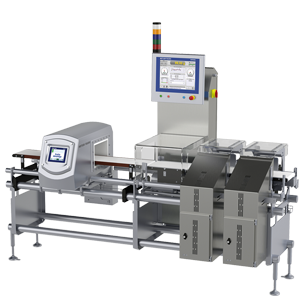 The CM3770 system combines in-line checkweighing and metal detection in a single procedure and meets quality assurance criteria in accordance with FDA part 11 or IFS. Whether you’re working with oval cans, flat bags, rectangular boxes or even square ones, the checkweigher uses outstanding precision and speed. The CM3770 can be configured with a detector offering 50% higher metal detection sensitivity for challenging food, pharma and cosmetics applications. The architecture guarantees the utmost adaptability with customized designs for maximum ease of integration into complex production lines. Implies high throughput with accuracy to promote tighter manufacturing tolerances in production. 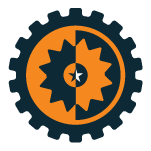 Improved processes mean an increase in overall equipment effectiveness to maximize your profits. The metal detector is available in a variety of widths and heights for optimum adaptation to products and maximum detection sensitivity. Products containing metallic contaminants are reliably ejected.